I hugely enjoyed reading such a variety of stories, and seeing real writing talent in action, and it’s always so hard to judge because I’m looking at so many different things. Some are objective: how well the writer’s decisions about tenses, point-of-view and psychic distance, the engineering of the plot, pace and structure serve the story. Some are semi-objective: is this a new idea to me, or a classic idea with something genuinely new to say about it? Is the voice compelling, are the settings vivid, are the characters the mixture of what-you’d-expect, and surprising, that people are in real life? Is the prose fizzing off the page or just quietly, freshly, exactly right for what the story’s saying? Some are largely subjective: did a story make me feel something, whether it was laugh, cry or think? Is it, for a change, not about death or ghosts? And yet the stories which win are the ones which I read and forgot to notice how the writer had written it. All the writer’s choices suit what the story’s trying to be so well, that they work on me despite myself: they turn me, as it were, back into a reader. So what is going on in the stories that succeeded in doing that? They’re all very different. I gave first place to “I And The Village” not because it’s about a writer, but because it’s a beautifully-paced and structured close-up exploration, with a simple but very compelling voice which allows for lovely prose. There’s black humour too, and it avoids triteness in either despair or hope. It also uses visual art really well: it’s easy to use pictures and music as shorthand for emotion or theme, but harder to make them part of the forward-movement of the story itself, as is is here. I gave second place to “The Last Days of the Minotaur” because it brought a lump to my throat, and because it isn’t really about death. It’s about life, it seems to me: about the loss of Eden as we grow up and grow old. It’s very fully imagined and beautifully written, but very disciplined in how it’s developed from the sources. It covers a lot of ground in terms of time, which, again, isn’t easy: too often either the “then” or the “now” of the story suffers, but here they work beautifully together. It was a fight to the death between these two for first and second place, and Minotaur only lost because I didn’t feel the handling of the tenses quite worked. Third place goes to “Marriage” partly because it made me laugh, and partly because even though the story is simple, it does what not all the stories formed by memories of the past quite manage. Without elaboration or heavy-handedness, the narrator’s voice and point of view give us a very strong sense of the life which followed this story of its beginning, and has formed his view of the past. And finally, honourable mentions to “The Other Side of the Ocean”, and “John’s Thing”, both of which shared that essential, Tardis-quality with the prizewinners: that there’s far more inside than the outside, apparently, could possibly contain. Handy Stop is a quality piece of fiction. It takes you right inside the head of its protagonist, enables you to think and see as he does, and to feel correspondingly uncomfortable about the world he inhabits. It has a sense of threat and danger as well as smart observation and comedy. It heads cleverly and nearly to a really good pay-off in the conclusion and seems like a really coherent, wonderfully complete whole. Giraffe High felt familiar in theme and content - and yet the author brought real poignancy and fresh sadness to the story. It's touching and cleverly assembled and contains some memorable images and moments of quiet drama. In short, it struck a chord. A Daniel is admirably strange and creepy. Some of the mechanics of the story may not have worked for me, but that didn't diminish from its disturbing effect and the quality of its humour and observation. It also has a quite brilliant final sentence that throws the rest of the story into yet darker relief. Blood Relations is full of compassion and cruelty, lush in its imagery, and is smartly put together. It felt like an awful lot of time passed in a very short space and it was a story that could have done with 10,000 rather than 1,000 words, otherwise it might have edged into my top three. Five highly polished, tightly told stories stood out for me from the shortlist, apparently written by authors who relish the slim word count rather than resenting short rations. This tiny love story about an unexpected connection with a stranger layers sparse prose with carefully coordinated detail. The bright orange wall in the opening paragraph is echoed by the streetlight halfway through, then by potential flames sparked by the closing word. The fiery images shine like a Belisha beacon in fog, against the cold grey of the geese on a wintry afternoon, reminding the reader to be alert to sparks amidst the ash of humdrum everyday life. I felt as if I’d read a painting, as much as a story. The well-timed crescendo leaves the reader wondering not only about the outcome for the narrator and her “bird man”, but also about one’s own near misses in life. By contrast, this story’s focus was on global catastrophe. In the post-apocalyptic sci-fi fantasy that follows the extinction of bees, the main character’s greatest treasure is “half a jar of honey” (a powerful refinement, adding that “half”). With the foresight of a latter-day Noah, a former beekeeper has created a nuclear-style bunker, in which he smugly takes advantage of his apparent status as sole survivor. The author pulls off the impressive technical challenge of presenting the story entirely in the second person, which intrigues us to wonder who, then, is telling the story. This memorable, subtly campaigning story will make me think twice before dismissing the latest bee-crisis report in the news. From the opening paragraph, this story is full to bursting point of rich, multi-sensory imagery, piling on texture as it packs in reflections on mortality, triggered by the back-story of a copper plaque on a humble park bench. While grounded in prosaic references to pubs and Tupperware, the narrative soars by the end to philosophical heights, with echoes of John Donne’s assertion that “no man is an island”, with a potted version of Shakespeare’s Seven Ages of Man implying that we will all eventually by returned to dust by the busily “churning worms” - fabulous phrase! - beneath the bench. All in just 250 words - wow! 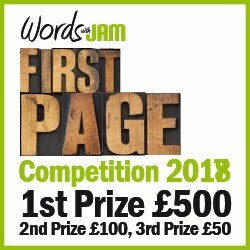 Special mention and commendation also for “Cables”, a magical realist story about a daughter’s unusual coping strategy for dealing with her manipulative mother’s death, and “A Vision of Knighthood”, a playful historical fable whose delightful closing twist returns full circle to the opening line. 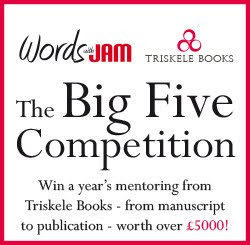 The team at Words with JAM Towers would like to thank everyone who entered and all of our judges. If you're a winner or a runner we'll be in touch soon. Fantastic! First place in the Shorter Story, and a runner-up in the Shortest category. Many thanks to Sam Jordison for his positive comments on Handy Stop. Glad I subscribed to Words with Jam now. First of all I congratulate the writers and http://www.whowritesbest.com/superiorpapers-com-review/ who have win the international awards.This shows the worth of our education system that we work hard for our families.So we should fulfill our dreams as soon as possible.